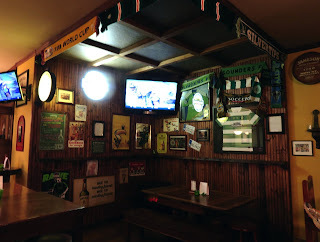 The Irishmen is a familiar American Irish bar, with the standard cherry colored wood, framed flags, soccer souvenirs and photos, and the same Guiness and Jameson paraphernalia - though not quite as dominant as some instant Irish pubs. It was opened in 2007, has a good selection of Irish and local beers and traditinal Irish dishes, and seems like a comfortable neighborhood place, embraced by many locals. 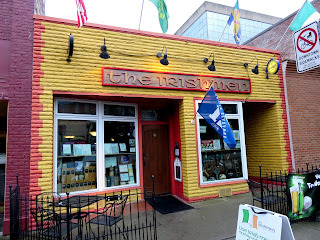 The Irishmen describes itself as an "authentic Irish bar" and its name is an homage to the 18th century "Society of United Irishmen, which they say "consisted of Protestants and Catholics who declared their belief in a peaceful Ireland for both Protestants and Catholics." But this doesn't stop them from leading off their cocktail menu with "Irish Car Bombs," or for that matter such sorority party silliness as "Choc-Ice" ("a shot that tastes like chocolate chip mint ice cream) and a "Cool-Aid" (Smirnoff Raspberry, Smirnoff Blueberry, Smirnoff Strawberry, Absolut Mandarin, cranberry juice, and Sprite). 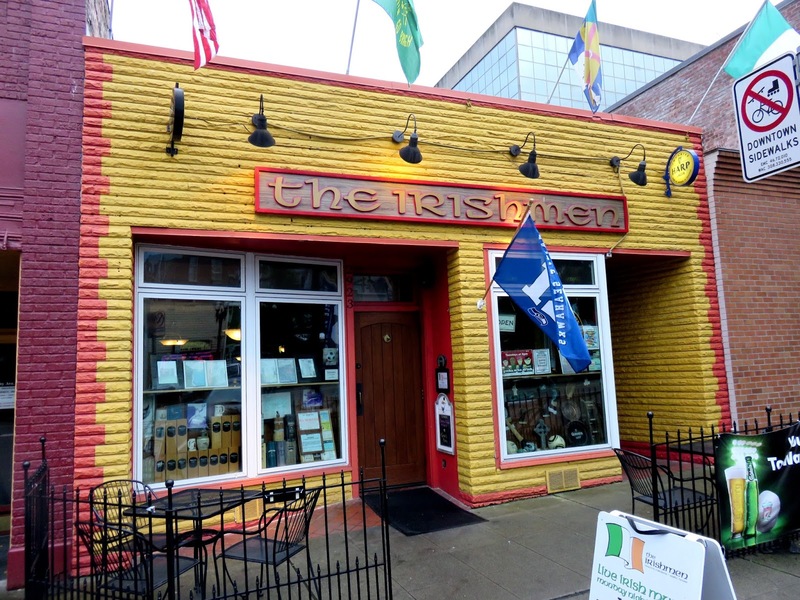 One must make certain concessions to your demographic's tastes, no doubt, but just try to picture James Joyce or Shane MacGowan drinking a mix of four fruit-flavored vodkas, cranberry and Sprite.